Vishal Kumar is an IT Professional who after attaining a BCA degree from ITM, Dehradun, an MCA degree from GB Pant Government Engineering College, Garhwal and an LLB degree from HNB Garhwal University, set up and started his own business of providing Consulting Services in IT field. Entrepreneurship is a process through which person is able to give form to and launch his idea or project into the market. In other words, Entrepreneurship is a process through which one is able to create a startup. This not only helps the entrepreneur earn money for himself but also helps in empowering other people by providing them with opportunities of employment and thereby, helps in benefitting the Society at large. An entrepreneur is his own boss. 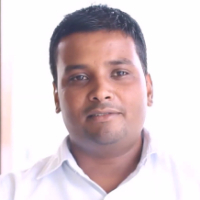 "After completing my education, I started my own business of providing IT consultancy in the year 2013."